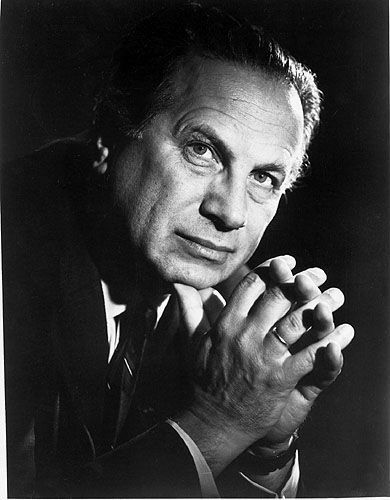 Antal Doráti's reputation was justifiably built on his conducting. Just one example is his recording of Stravinsky's complete Firebird ballet which was made for Mercury in Watford Town Hall in 1959. It is one of the major achievements in the history of recorded music and was made on Ampex 350 series three channel ½ inch recorders using valve (tube) recording electronics. (See link in web resources below). Listening to it again does raise the question as to what real benefits do digital recording and jet-setting maestros bring us today? Less well known, but very well worth finding, is a live Missa Solemnis recorded in the Philharmonie in Berlin with Doráti conducting the European Symphony Orchestra, University of Maryland Chorus, and a distinguished group of soloists on BIS. Beethoven's Missa Solemnis was a very personal work for Doráti, and its score gave the title, and inspiration, to his posthumously published book 'For Inner and Outer Peace' which can be bought from IPPNW Concerts in Berlin. Well done the BBC for presenting such an innovative programme, this is what the BBC Symphony are so good at - showcasing rarely heard modern music with little preparation time. But one small gripe I'm afraid - the cult of the media personality (or just plain sloppy sub-editing?) means both the BBC Radio 3 and the BBC Symphony websites tell us the name of the continuity announcer and soloist, but not the conductor. * For audio file of an interview with legendary Mercury producer Wilma Cozart Fine follow this link. I should have mentioned in my article that Maestro Dorati has an important anniversary this year. He was born in Budapest on April 9 1906. Many thanks for your article and I'm glad to know you were listening. The conductor was Joseph Swensen.